A failing solar energy company. Millions of dollars of taxpayer dollars loaned out to promote “green jobs”. Campaign contributions to the warchest of the politician in charge of said tax dollars. Huge payments made to the executives of said company while workers are being laid off. We’re talking about Barack Obama and Solyndra, right? Wrong. We’re talking about Former Governor Ted Strickland and Ohio’s own version of Solyndra, WK Solar near Toledo. Media Trackers Ohio details the findings of a Toledo Blade investigation of possible misuse of millions of dollars loaned to WK Solar by the Strickland administration. Among the most alarming of the revelations that MTO’s Jesse Hathaway finds is that the Strickland administration knew as early as 2009 that WK Solar was in financial trouble even after receiving $5 million in state loans. Yet, Strickland continued to give the company another $10 million in state funds. 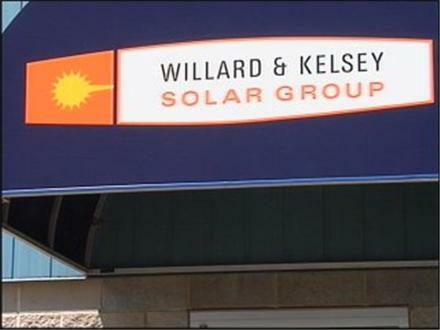 The Ohio Department of Development recently announced plans to audit Perrysburg solar-panel manufacturer Willard & Kelsey Solar Group LLC — also known as WK Solar — after the company failed to make regular debt payments on money it borrowed from taxpayers. The company borrowed $5 million in taxpayer funds from Ohio’s Air Quality Development Authority “green jobs” program, as well as another $10 million in funds lent by the Department of Development itself. As early as 2009, the Ohio Department of Development and the Air Quality Development Authority were aware of the company’s financial woes. Company records provided to the state showed that WK Solar ran up $4.2 million in debt. Nonetheless, taxpayer funds continued to be pumped into WK Solar’s coffers. So, as governor of Ohio, Ted Strickland saw that WK Solar was in trouble after the state loaned them $5 million. Why on earth would he make the decision to flush another $10 million of Ohians money down the toilet? In 2010, WK Solar executives — including CEO Michael Cicak and president James Appold — donated almost $25,000 to Gov. Ted Strickland’s re-election campaign. Cicak also donated to Lt. Gov. Lee Fisher’s US Senate campaign. Fisher served as director of the Department of Development under Governor Strickland. Later that year, in July of 2010, the Department of Development lent WK Solar an additional $10 million in taxpayer dollars. Strickland’s administration also approved multiple deadline extensions for required financial reports, as well as deferrals for required loan repayments. If it weren’t so outrageous, the parallels to Solyndra would be comical. Worse yet, upon being fired in 2009, a former WK executive claims that the company had used some of the state loan money to pay large bonuses to the executives, and that he informed the Strickland administration about his allegations. Strickland even got Joe Biden and Labor Secretary Hilda Solis out to the plant. Much like Obama did at Solyndra, Biden announced during his visit that WK Solar was the future. One of the conditions for the state loans was that WK Solar was to have created 400 jobs by January of this year. At the end of 2011, they had a workforce of about 80. And in January, they laid most of them off. On his way out of office, Strickland appointed his Chief of Staff John Haseley to the Ohio Air Quality Development Authority, the agency that loaned WK $5 million dollars. Rumor has it that Haseley, in a desperate effort to save face for Ted Strickland, is still pushing the AQDA to restructure WK’s loans. This is Ted Strickland’s legacy, folks. Failed green energy gambles with our tax dollars and an administration where jobs go to die. I hear he wants to be governor again.